What about a soothing and calming residential area beside the beautiful Upvan lake, Yeoor hills, Sanjay Gandhi National Park? What about living amidst a beautiful greenery area? If living in such a residential location is your long time dream, then Serein is just the right place for you. 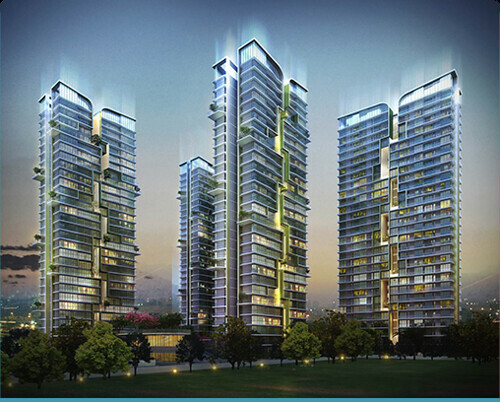 Serein is a residential project by Tata Housing in Thane, an emerging prime location. Pokhran road 2 located in Thane will also soon be known as the Malabar Hill of Thane due to the natural green environment it provides. Having wellness as the theme, it enables the users to immerse in nature's elements. When you are in Serein, you never need to worry about sunlight and ventilation which are not abundantly available in by many residential projects. Whereas many residential projects call themselves as wellness homes but fail in providing in relevant amenities, Serein is the first real wellness project with relevant amenities. 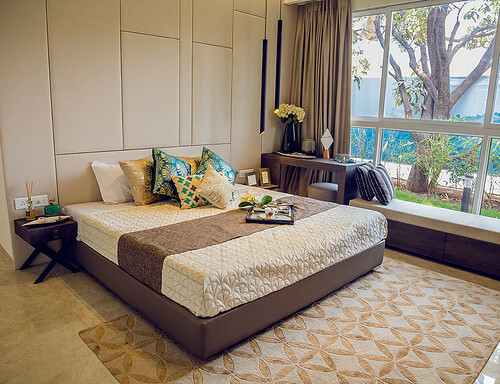 It is just the center of luxury in the poshest location of Thane. Pokhran road 2 will also be soon known as the Malabar Hill of Thane. If greenery is what all you love, you will definitely love the Malabar Hill of Thane. Due to the proximity to Upvan lake and Yeoor hills, Malabar Hill of Thane never fails to provide you the natural green environment. Not only it is popular for its greenery environment but also for its easy accessibility. It is located just 10 minutes from the railway station. It can also be easily reached via the Eastern Express Highway and Ghodbunder Road. According to Times of India, the location will become the best-planned neighborhood in Thane very soon and it has good future prospects. If you pay a little attention, you can find the similarities between the zip codes as well - Malabar hill - 400 006 and Pokhran Road, Thane - 400 610. Having the theme as Wellness, Serein has paid close attention to every little detail. Home influences your overall well-being, isn't it? The project Serein provides you homes that make a legacy. The amenities it provides makes the project outstanding. Have a look at the long list of amenities they provide. I do not think that you can get so many relevant amenities in any other residential project even which are called as wellness projects. The quality of living will certainly improve if we live in such a residential project. Everyone is leading a stressful life and this kind of amenities will help to rejuvenate, relax and soothe us. Well, their focus towards wellness homes doesn't end there. Here are some of the other ways they help you to get a better life. Provides natural ventilation to maintain the air quality of the indoor area. I sincerely appreciate their effort of concentrating on every detail as much as possible. I am impressed to see the builder concentrating on even the usage of native species. The builder has not only concentrated on the public amenities. They are giving importance to the in-home specifications to make it a complete wellness project. I have never seen any builder providing Vitamin C infused shower so far at least in my location. Tata housing is the first one I am hearing in my lifetime. Moreover, the builder himself provides air purifier and RO filter in kitchen. Is it not so good? What more one can ask for? Based on climatology, the homes are designed to maximize north western winds which help to keep the indoor spaces cool. It also helps to provide well shaded outdoor areas in the summer. VITAMIN C INFUSED SHOWER to refresh your skin, hair, and nails. AIR PURIFIER IN LIVING ROOM to optimize respiratory health and improve cardiovascular health. Comes with EMF SHIELD. It is a proven technology to neutralize toxic EMFs. It also restores balance and tranquility in the residential environment. HIGH-PERFORMANCE GLASS IN ALL WINDOWS to reduce external noise entering the home thereby creating ultra-quiet interior sound levels. LOW VOC PAINT to reduce adverse health impacts for building occupants. RO FILTER IN KITCHEN having a mechanism for removal of pathogens, bacteria, protozoa, other viruses, sediments, heavy metals, etc. in the domestic use water. Living amidst affluence is now possible with Serein with a zero compromise on safety and security. Buy a flat in a project that is nestled in a lush eco system and provides you the freedom in the form of a traffic-free environment and Be wise. Choose Serein. Have pride in you address.